Leaders Retreat Day: To strengthen Christian leaders is to strengthen all whom they serve. Join us Monday, May 6, as we continue our 17th year of these renewing retreat days for pastors and leaders. My Life, Future, and the Invitations of God: How do you let God’s voice of love create your future before the pressures and expectations of life create it first? A transforming retreat for your whole congregation. Age, Loss & Transforming Life in Christ: Getting older is not for wimps! What are both the beauty and challenges of the elder season? What hidden gift for transformation lies here? A retreat morning for empty nesters through those in retirement years. WellSpring Life Resources offers live events, small group resources, and counseling services that call hungry hearts toward a more rich and transforming daily experience of God. We present renewal events for leaders and lay people across the country. Our small group materials are refreshing thirsty hearts far and wide. 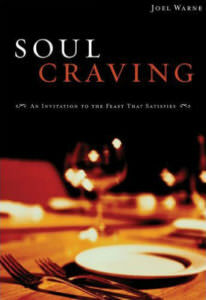 Soul Craving is an invitation to feast on true spiritual food--essential practices and postures of the heart that help us develop loving intimacy with God and satisfy our longing for him. 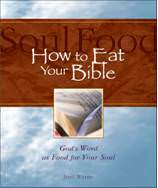 This 6-session, video-based curriculum guides participants in a simple, yet profound, "LOOKING/LISTENING" approach to reading Scripture. You did a wonderful job of telling stories through word pictures that people could see, kind of like watching virtual video. Wow. I was particularly fascinated by the way you invited people into Scripture. You did it so simply and gently. It was a graced day! It was an utter delight to have you among us and be led by you through a rich and creative session!